The Drottningholm Palace is the private residence of the Swedish royal family. It is located in Drottningholm. It is built on the island Lovön (in Ekerö Municipality of Stockholm County), and is one of Sweden's Royal Palaces. It was originally built in the late 16th century. It served as a residence of the Swedish royal court for most of the 18th century. Apart from being the private residence of the Swedish royal family, the palace is a popular tourist attraction. 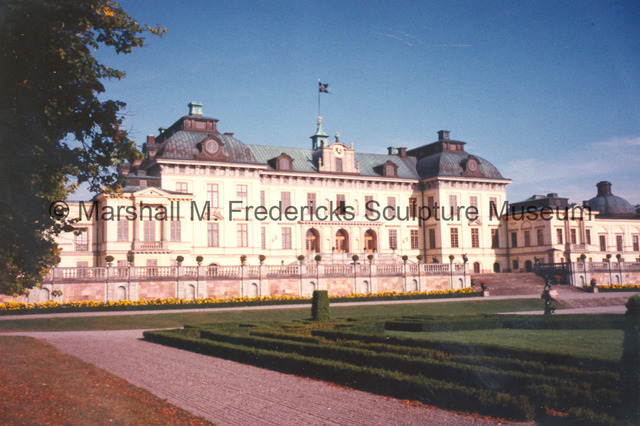 “Drottningholm Palace,” Marshall M. Fredericks Sculpture Museum, accessed April 20, 2019, http://omeka.svsu.edu/items/show/2116.